Joao Felix. Get used to the name, because he isn’t going away. Seemingly every scouting department in Europe is busy ‘compiling reports’ of a 19-year-old whose braces only serve to take more years off him. Benfica, however, should be braced for serious interest in the summer, as his €120 million release clause is unlikely to stop offers arriving through the post at Estadio da Luz. So, what’s all the fuss about? How bright is his future? Where is his best fit? We attempt to answer all those questions below – and don’t worry, this is a Cristiano Ronaldo comparison-free zone. You’d think by now that clubs would stop consigning tiny youth players to the scrapheap so quickly. In a classic tale penned by the likes of Antoine Griezmann, Luka Modric and Paul Scholes before him, Joao Felix was deemed too small by Porto and promptly released at the age of 15. Benfica, who had nurtured the likes of Angel di Maria and Bernardo Silva in the recent past, trusted that puberty would work its magic eventually and promptly snapped him up. Born in the city of Viseu, 290km away from Lisbon, Joao Felix’s 14-year-old brother Hugo also now plays for Benfica. Joao Felix is truly a player for the modern game. The 19-year-old is capable of playing in every position across the forward line with no obvious preference so early into his career. Since taking over as Benfica head coach at the start of January, Bruno Lage has deployed him just behind Switzerland striker Haris Seferovic in a 4-4-1-1 formation. Their partnership has been very fruitful, with Seferovic adept at holding the ball up and letting Joao Felix dart in from behind – shown in all its glory when the senior striker played the youngster in to put Benfica 2-0 up against Sporting last weekend. While playing as a second striker, the Portugal youth international has shown a tendency to drift onto the left and cut in with his favoured right foot, a bread-and-butter tactic for any wide forward. There is, however, nothing predictable about his play. He close control while dribbling at pace means he is just as likely to scamper up the flank as abandon it. 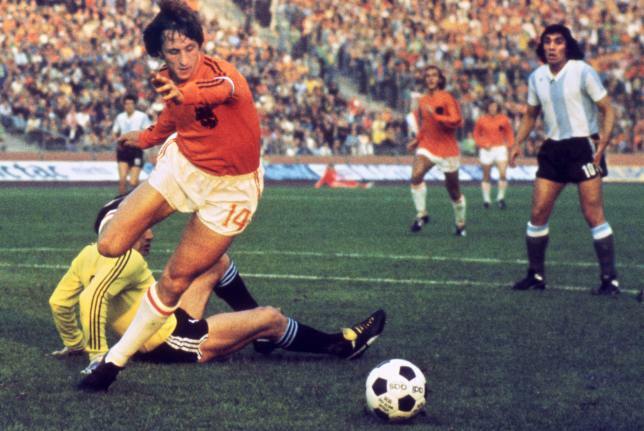 Then there is his passing, perhaps his marquee ability – especially for a player of his age. A quick burst of acceleration sets him free on the right but it requires an audacious ball, both defying the offside trap and somehow repelling the chasing centre-back, to pick out Seferovic in the match against Boavista below. 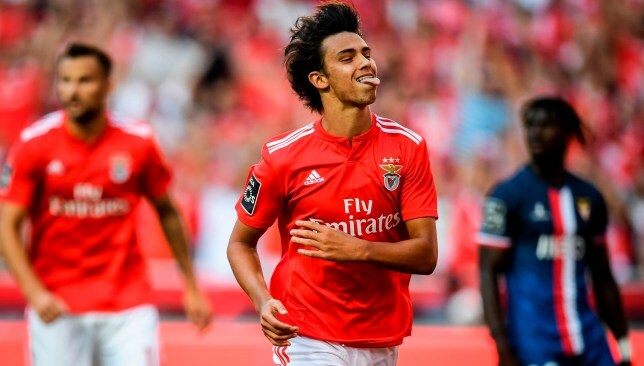 It’s an obvious one to ask any youngster to ‘bulk up’, but Joao Felix really is a wisp of a player as it stands. Though he stands at a fairly sizeable 5ft11, there’s not much of him width-wise – the Benfica shirt hangs off him. He struggled a touch under some rough treatment in Benfica’s Taco de Portugal victory over Sporting on Wednesday – but if the only thing he has to worry about is being kicked, he is certainly doing something right. Ron … Rui Costa. Hoping for someone different? Well, it’s easy to forget just how good Rui Costa was, a player with no obvious flaws to his game and the vision of a space telescope. There is something uniquely exciting about Joao Felix, though, which has moved Portuguese commentator and former Benfica player Cesar Peixoto to compare him to a certain Oranje legend. While it may not sate the appetite of the transfer addicts – his best bet is to stay at Benfica for another season at least. Still so inexperienced and diminutive, Joao Felix still has some way to go before outgrowing the Portuguese league. At this point he can combine regular playing time with tough enough tests week-in, week-out. When he does eventually move – and yes, that could well be this summer – there is very little chance of him asserting himself at a Premier League club straight away due to that lack of physicality. If it is game time he is after, it is difficult imagining Real Madrid accommodating both him and their rising Brazilian Vinicius Junior. Barcelona could be an interesting one if they offload Philippe Coutinho, who shares some traits with Joao Felix, but Ousmane Dembele represents another obstacle. Manchester United are also well stocked in attack, but how about Liverpool? Sadio Mane, Mohamed Salah and Roberto Firmino have recently suffered under a heavy workload, with little quality elsewhere in the squad to spell them. As Jurgen Klopp has yo-yoed from a 4-3-3 to 4-2-3-1 this season there is an obvious space for a fourth versatile attacker. There is also the tantalising prospect of playing alongside Cristiano Ronaldo at Juventus. Ronaldo and Mario Mandzukic have dovetailed excellently in attack this year, but should the Old Lady decide to offload the struggling Paulo Dybala, there should be more than enough games to go around. That being said, half of Europe is after him – you can add PSG to the mix too. It could well just come down to who is the highest bidder for a very special talent indeed. 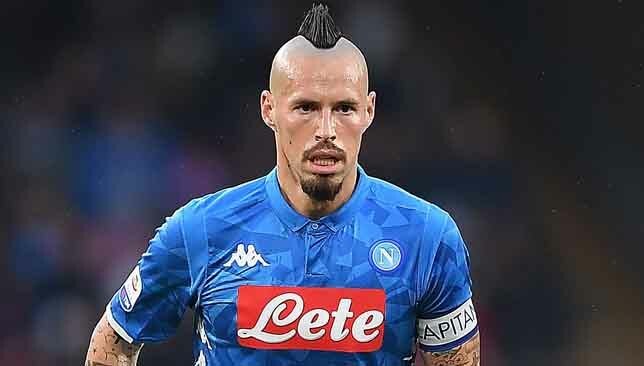 Marek Hamsik’s move to China is in jeopardy after Napoli delayed the long-serving midfielder’s sale. The 31-year-old has established himself as a fan favourite since arriving at the San Paolo in 2007. Nobody has scored or played more for Napoli than Hamsik, who looked set to head east and move to the Chinese Super League this month. Dalian Yifang are reported to be the destination but the Serie A side have called a temporary halt to the move. The sides have some time to work out any issues as the Chinese transfer window does not close until February 28. Romania international Nicolae Stanciu was the joint most expensive import into the SPL during the transfer window. A busy winter transfer window saw the Saudi Professional League retain its position as the second highest valued football market in Asia as a total of 89 players were transferred into the Kingdom during January and February. A little over €50 million was spent by Saudi clubs during the transfer window, from January 7 to February 4, with the acquisitions of Serbian striker Aleksandar Prijovic, who joined Al Ittihad from Greek Super League side PAOK, and Romanian attacking midfielder Nicolae Stanciu, who was snapped up from Czech giants Sparta Prague by Al Ahli Jeddah, proving the most eye-catching deals. Both players commanded €10m transfer fees as a total of €53.8m was spent during the winter market. 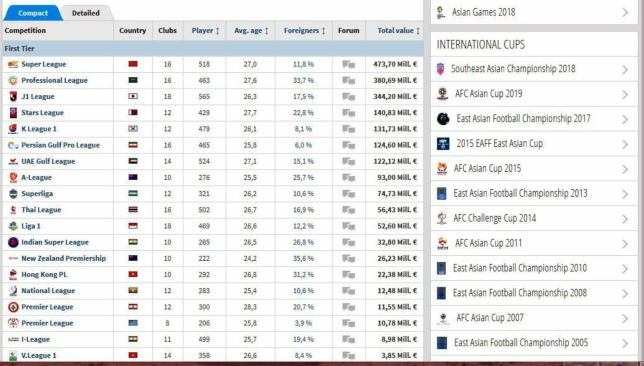 Overall it saw the SPL retain second spot in Asia with a total market value of €380.69m (1.6 billion Saudi Riyals) according to German football transfers and marketing value website Transfermarkt – behind the Chinese Super League, which is valued at €473.7m. Japan’s J1 League is in third place, valued at €344.2m. The UAE’s Arabian Gulf League is seventh on the list and valued at €122.12m. Relegation battlers Ohod topped the standings in terms of deals done during the window with a whopping 15 players brought in as they bid to beat the drop. Ammar Souayah’s side, however, only spent €350,000, with all that being shelled out on one player – striker Ahmed Gomaa – who was brought in on loan from Egyptian Premier League side Al Masry. Al Faisaly, occupying a comfortable mid-table spot, were the club to make the fewest signings with only two deals done. Prijovic and Stanciu were two of a total of 47 foreign players signed during the winter window, with these players coming in from 26 countries: Spain, Italy, Romania, Jordan, Sweden, Nigeria, Portugal, Georgia, Uzbekistan, Egypt, Australia, Tunisia, Syria, Ghana, Belgium, Russia, Brazil, Chile, DR Congo, Algeria, Ivory Coast, Morocco, Cape Verde, Gambia, Guinea and Serbia.